Looking for a book for my college freshman son for Christmas. He would probably like nonfiction best, he’s a hockey goalie. Any suggestions? Thanks! Has he read The Boys of Winter? This one was pretty good. 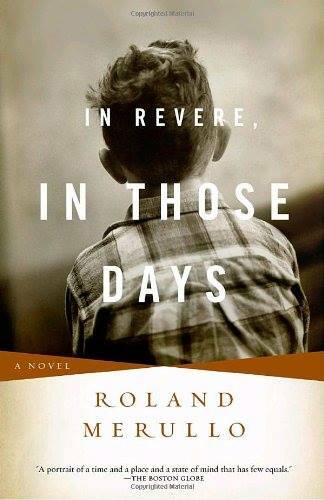 In Revere, In Those Days by Roland Merullo. A coming-of-age story and he plays hockey on his school’s team. Google Stephen King’s book recommendations for male readers. He’s great with music and book suggestions. The Martin is the last book I bought my son, and the Walking Dead graphic novels are the last books he bought himself. Definitely Beartown. Every coach and athlete should read it. I think Beartown is a great suggestion. Loved it. Not hockey but boys in the boat is excellent. Even more do if you are a history buff. The lost 10 point night: searching for my hockey hero by David Ward was pretty good. Boys in the Boat is compelling and inspiring! Just make sure you include a gift receipt and let him know you are not offended if he’s already read it or just wants something different! Monica great reminder, thank you!